What’s a Jeroboam? Do you know that there is a bottle of 30 L? What are the names of the bottles for each different size? 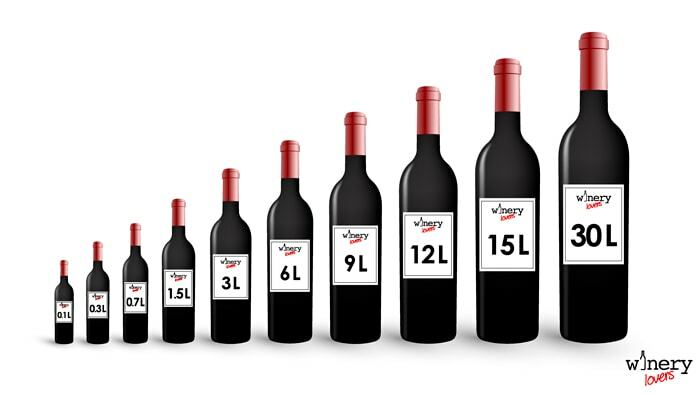 If you can answer to these questions, you probably know that there are other wine bottles sizes in addition to Standard bottle. I’ll show you wine bottles sizes. Each dimension has its own name! Independently of color, a wine bottle is usually made of glass and closed with a cork. There are several sizes of wine bottles. The standard dimension is 0.75 L! It was adopted from the middle of 1700. Some people affirm that 0.75 L was the largest size that early glass-blowers could produce with one full breath. Another theory about 0.75 L is that it was the right ration for a man to drink in a meal. Beyond the standard size you can find large and small wine bottles. 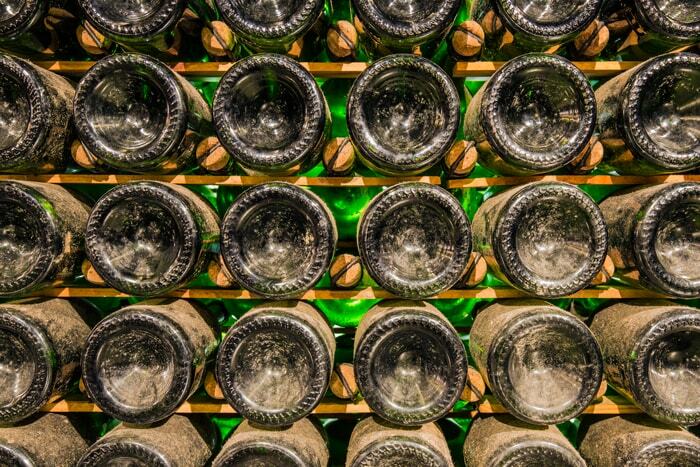 Large wine bottles are recommended to long aging wines. It’s a known fact that wine in large bottles ages slowly. Another advantage of large wine bottles is that they have a thicker glass than standard bottles, therefore the wine temperature has not too many variations. On the other hand, winemakers have to use a customize cork that could be imperfect and this means that you could taste a wine corked. The names of wine bottles sizes derives from biblical kings. However nobody knows how this name convention started. 0.1875 L – Piccolo or Split: equivalent of 1/4 Standard bottle. 0.375 L – Demi or Half: equivalent of 1/2 Standard bottle. 0.75 L – Standard: the common bottle size. 1.5 L – Magnum: equivalent of 2 Standard bottles. 3 L – Jeroboam or Double Magnum: equivalent of 4 Standard bottles. 6 L – Methuselah: equivalent of 8 Standard bottles. 9 L – Salmanazar: equivalent of 12 Standard bottles. 12 L – Balthazar or Belshazzar: equivalent of 16 Standard bottles. 15 L – Nebuchadnezzar: equivalent of 20 Standard bottles. 30 L – Melchizedek or Midas: equivalent of 40 Standard bottles. Do you find this guide useful? Yes!? I invite you to click on +1! For you it costs nothing, but for me is very important!